Many visitors like to base themselves out of one central location to have a familiar place to return to after a day of memorable experiences. If you wish to stay in Milan while also exploring destinations outside the city, then this post is written especially for you. Located only about 25 miles outside of Milan is the city of Bergamo, situated within the region of Lombardy. The city of Bergamo consists of two parts, an upper and lower level, known as the Alta Citta e Bassa Citta respectively. These different levels of the city are connected by a funicular or there are always walking trails as well to get from one point to another. 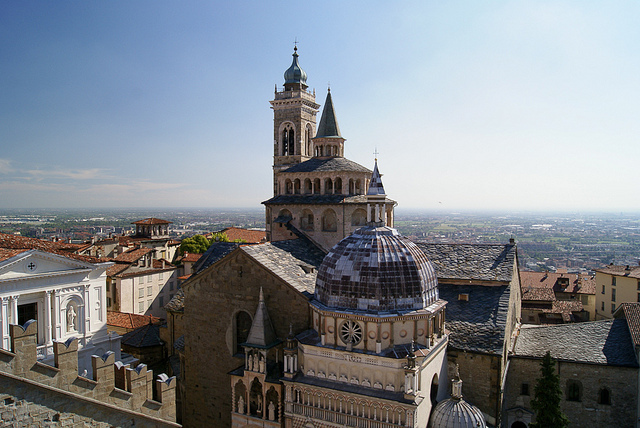 Bergamo is well-known for its medieval art and you can find many of its main attractions located on the upper level. There you will find the Piazza Vecchia, Basilica di Santa Maria Maggiore and the Duomo di Bergamo e Battistero. For art lovers there is also the Carrara Academy Gallery. The lower level of Bergamo is where a lot of the locals reside. There is plenty to explore. Love sparkling wine? 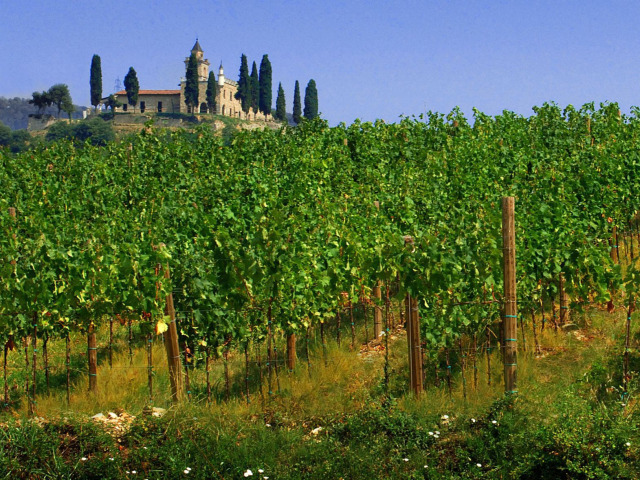 Then the perfect day trip awaits you just outside Bergamo in the wine region of Franciacorta. It is a great opportunity for anyone keen to experience the great food and wine of Lombardy. Franciacorta is located on the shores of Lake Iseo which is at the base of the glacially-formed lakes that sit on a morainic axis. These stones and minerals impart the minerality which is one of the most common characteristics of Franciacorta wines. 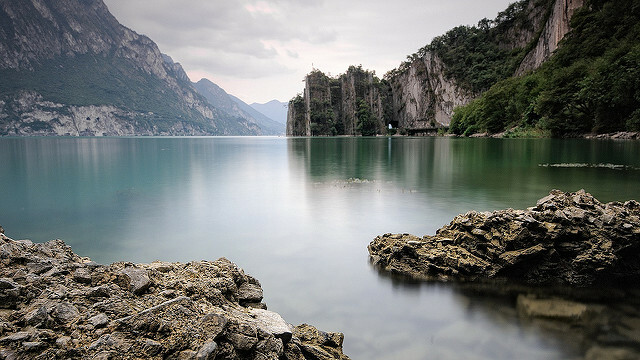 The climate of this region is regulated by Lake Iseo and the other lakes. The primary grapes that make up a Franciacorta wine are pinot noir, chardonnay and pinot bianco. There is a Franciacorta Saten grape variety that only consists of chardonnay and pinot bianco similar to a blanc-de-blanc in France. There are also vintage and non-vintage Franciacorta varieties; the one selected determines the percentage of grape used and the length of aging. Vintage Franciacorta requires 30 months of aging with at least 85% of the grapes coming from that particular vintage. The non-vintage Franciacorta requires 18 months of aging with a blend of vintages allowed. A reserve Franciacorta is aged for 60 months in total. One of the original producers of this region which should be on your list to visit is the Berlucchi winery, but there are an additional 70+ wineries in Franciacorta that you may wish to seek out as well. How does Franciacorta compare to Champagne? It is produced using the same classic champenoise method, but is a more reasonably-priced and creamier style of sparkling wine. Franciacorta can stand up to some of the top champagnes produced in Champagne, France, but since not much of it is exported outside the region few have had the opportunity to become familiar with Franciacorta. 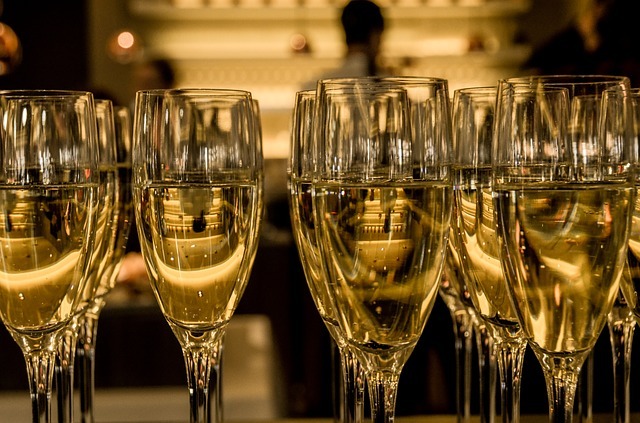 Enjoy a glass of Franciacorta on your next visit to Milan and Bergamo…cheers! 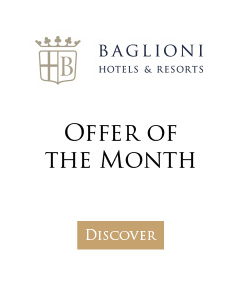 Concierge tip: The Baglioni Hotel Carlton offers a 5 star stay in the heart of Milan allowing you to easily make a day trip to Bergamo and Franciacorta. The hotel currently has a special offer which means you can stay an extra night free of charge (conditions apply).